If you love working with people and money, and if you have a high success rate working independently, you might want to consider becoming a mortgage broker. It's a career field that doesn't immediately come to mind for most people when they're considering jobs, but the truth is that it's quite a large field with the potential for a fantastic income. While there's a high demand for skills and know-how, there's also a high demand for brokers to fill open positions, so if you're up for the challenge, this can be a lucrative and rewarding job. You should first understand the precise role of a mortgage broker. These people basically work as the intermediary between home buyers and banks or other lending institutions. If customers are looking to buy a home and are shopping around for a mortgage, they might find the process of calling multiple banks and filling out multiple applications quite daunting. A mortgage broker is a person these customers can call who will take their information and shop around for them. Mortgage brokers also help close the deal so that everything is taken care of properly. A mortgage broker charges a fee for their services, but the amount of time saved -and often money saved, too, since brokers usually know how and where to find much better rates for consumers- is worth the expense of the service. 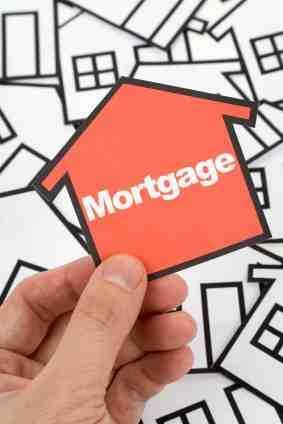 How do you go about becoming a mortgage broker? It helps to have a background in finances, although no specific degree is required for the job, at least, in most cases. A handful of states do require certain education requirements be met, so you must check with your local brokers' bureau to be sure. Keep in mind that as a mortgage broker, you will be working largely by yourself and on a commission basis, even if you work as an employee for a larger firm. Thus, you have to be a self-starter and willing to work non-traditional hours depending on the needs of your loan customers. The vast majority of the states in the U.S. require brokers to be licensed. What this means is that you must attend a series of classes offered by the state and then pass a test to become a certified mortgage broker before it is legal for you to practice. In some states, you may also be required to carry various types of insurance and to meet certain quality regulations set out by the federal government. This information will likely all be made available to you during your licensing classes. The ideal situation for someone interested in becoming a mortgage broker is to get hired by a brokerage firm early on in their career. Once you're hired, the firm will likely pay for your training and certification and, even if you come to them already certified, they may be willing to pay for further classes that will enhance your skills. Working for a brokerage firm still means you're going to be working very independently and on commission, but it gives you a relatively firm background with an established company and client base. Once you've worked with a firm for a number of years, it's possible to branch out on your own and either open your own independent firm or work as a contractor, depending on your particular situation and what career goals you have for yourself. Working as a mortgage broker can be a challenging position; you'll be juggling everything from loan terms to credit reports to customer relations. If you like numbers, helping people, and facing challenges, you'll probably find it an excellent career to make use of, and expand, your talents and interests. Keep in mind that certification and education are required keys to success and that a bit of patience during the years in which you're training will probably pay off with major dividends in the future.